This quote from ShaggyÂ´s “Rude Dub Wi Want” (Champagne International – VIP riddim) was Gabriel HeatwaveÂ´s Badman Commandment 8 out of 10 in Woofah #1 (series t.b.c. in #2). 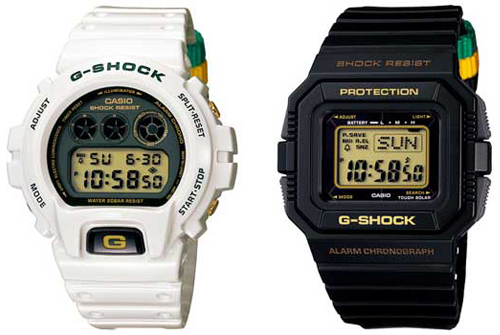 DonÂ´t know though if badman are allowed to measure the time they donÂ´t have to hesitate with a G-Shock (see “Rastafarian Pack” above) out of all things… (via High Snobiety, available here).